Jeremy Bentham was a notable philosopher who lived during the late eighteenth and early nineteenth century. He is best known in philosophy and ethics for utilitarianism. Due largely to the advocacy of Bentham, utilitarianism influenced many social reforms in Great Britain, most of which took place after Bentham’s death. For Bentham the pain and pleasure principle was a blueprint for social and legal reform in Great Britain. He viewed the idea of punishment and reward as a means for legislators to control an individual’s pursuit of happiness. To Bentham, punishments seemed to be the more important method of enforcement. He believed that through the infliction and threat of great pain, individuals would be provided motivations for refraining from harmful behavior. Bentham’s emphasis on law and punishment of law-breakers, reflected the doubts he had towards the ideology of natural rights, which basically states that individuals had unlimited rights to “liberty, property, security, and resistance to oppression” (Lafayette, 1789). His philosophy had direct bearing on his ideas about criminal justice. He focused on the prevention of crime through the creation of Panopticon penitentiary systems. In his own words, Bentham describes the Panopticon penitentiary as a system that would be run according to “rules of lenity, severity, and economy” (Bentham & Mills, 1987). This system stated that the prisoners would not be physically harmed, but also would not be afforded more luxury than the members of the lowest social class. Bentham’s design of the prison would severely limit the necessary staff to operate the facility, which would enhance the economic feasibility of the system. For instance, Bentham designed the architecture of the penitentiary to be rounded allowing one guard to view and monitor several rooms at the same time, while thanks to screens and lighting, the inmates would be unable to know if someone is watching. This gave the inmates “an impression of invisible omnipresence” (Bentham & Mills, 1987). Bentham’s ideas regarding prison reform laid the foundation for what was to become the Prison Act of 1835. This act, while not resulting in a penitentiary like the Panopticon, used his system of lenity, severity, and economic approach to prisons quite successfully. My disagreement with Bentham involves his view of the prison system. In his view, inmates were discouraged from deviant acts due to the threat of consequences associated with them. This led Bentham to design a prison system where all the inmates are housed in a circular building and are unaware of how often they are being watched over by guards. This Panopticon would benefit society because it would cost very little money to run the facility and would be successful because the inmates would never know if a guard is on or off duty. In my opinion, however, inmates need rehabilitation and socialization while in prison rather than just fear and consequences. There are currently many experimental prisons operating in the US that attempt to do this very thing while maintaining a low cost to the community and tax payer. These facilities (mostly rehab) run at no extra cost because they are operated daily by the inmates. The facility employs a low number of guards to maintain supervision and order, but the day-to-day operations are left up to the inmates. Cleaning, maintenance, supervision, activities, and services are all carried out by the prisoners themselves. They help organize and operate a strict rehab facility for drug users. Their days are structured with equal parts exercise, education, reflection, meditation, and socialization. They perform services at the facility such as auto-mechanical which also helps to bring in income to the prison to pay for the food (not processed junk) and facility operation. This type of prison allows the inmates to still feel hopeful about life after prison. They also acquire the treatment they need to break troublesome habits and nearly all acquire new skills and education that will make them successful contributors to society once prison is over. I agree with many of Bentham's ideas regarding the motivation of pain and pleasure. However, fear can motivate only so far. Assuming that inmates are eventually going to be integrated back into society, they must be helped and given a chance to be successful, otherwise every sentence to prison becomes a life sentence. Prisoners must pay for mistakes they have made, but they also should receive tools while paying their debt to ensure that the majority don't fall into the same harmful patterns that landed them in prison. Fear works in the short term, but begins to fade over time. Teaching skills and providing prisoners with knowledge is the only way to rehabilitate them and prepare them to be contributing members of society. Shane Bennett is a former Ethics student at Midway College. 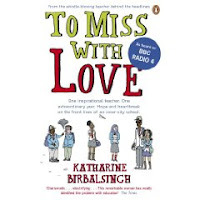 Katharine Birbalsingh, the author of this revealing and disturbing book, came to prominence at the last Conservative Party Conference in which she attacked the teaching and standards in state schools in the UK. As a result, she lost her job as an English teacher in a London comprehensive. Subsequently she began a lively blog about the tribulations of modern state educational theory and practice – and found time to write this revealing, autobiographical ‘diary’ of a typical school year. The exam boards, she explains, invent “easy” subjects and sell them to schools which then get “easy” results. Five “C” grades at GCSE is the goal at “Ordinary School” where she teaches; this is considered a “good” school compared with “Basic School” and “Infamous School” nearby. Friends and colleagues prefer to send their own children to private schools; the “sharp-elbowed” middle classes, as David Cameron has described them, would not dream of sending their children to the kind of schools the author teaches at –thus compounding the problem; you cannot have truly comprehensive schooling if children from a variety of backgrounds are not educated together. Birbalsingh watches polite and conscientious 11-year-olds enter the secondary school system “and its excruciating web of madness” and notes that within a couple of years they have become sullen, aggressive, lazy and truanting. Birbalsingh has disguised the identities of her subjects, giving them the names “Seething”, “Furious”, “Beautiful” and so on. This can make them seem somewhat one-dimensional, defined by their dominant personality traits, but it serves its purpose. “Stoic” is the exception to the general rule; quiet, well-behaved, hard-working, seemingly impervious to the mayhem around him. In conversation with the author he tells her that, aged 11, he made a decision to work (and be lonely) rather than to have friends and get into trouble. On holiday in Jamaica where her own parents live, Birbalsingh visits a private girls’ school. There are few of the facilities and equipment that her London school boasts of, with its white boards and computers, but the ethos is entirely different: disciplined and respectful pupils in a serious learning environment. In a conversation with “Cent”, one of her troublesome rogues, the author learns from him that in Nigeria, where his family has come from, discipline in school is also enforced. Reflecting on all the problems in the educational system, the author concludes, “The eradication of the old-school teacher is the single most destructive ‘improvement’ that is taking place in our schools today.” By this she means teachers actually teaching - rather than entertaining and containing their classes - and pupils capable of listening and learning. The Coalition Government is currently trying to tackle the abysmal situation described in this book, with the Education Minister, Michael Gove, taking on the teacher’s union. The question is, will he succeed? Francis Phillips writes from Buckinghamshire in the UK. This article is published by Francis Phillips, and MercatorNet.com under a Creative Commons licence. Washington Post: President Obama will nominate CIA Director Leon Panetta this week as secretary of defense, replacing Robert M. Gates as part of a series of national security shifts that will also place Afghanistan war commander Gen. David H. Petraeus in the top CIA job, U.S. officials said. In an announcement planned for Thursday, Obama will also name Ryan C. Crocker, a five-time ambassador who retired in 2009 after wartime service in Iraq, to head the U.S. diplomatic mission in Kabul. Completing the changes, Marine Lt. Gen. John R. Allen, currently deputy commander of the U.S. Central Command, will take Petreaus’s job in Afghanistan, according to knowledgeable officials not authorized to speak on the record. We, the undersigned Syrian and Arab NGOs, are deeply alarmed about the candidacy of the Syrian Arab Republic to the UN Human Rights Council (HRC) in the upcoming UN General Assembly (GA) elections for membership in the HRC. Syria is currently being put forward by the Asian Group at the GA as a candidate for membership of the HRC within a closed slate that does not allow for competitive elections. According to resolution A/RES/60/251 establishing the HRC, "members elected to the Council shall uphold the highest standards in the promotion and protection of human rights." In light of recent grave and systematic human rights violations being carried out by the Syrian government to repress largely peaceful protests for democratic reform, it is impossible to justify Syria's unchallenged candidacy and potential membership in the HRC. All member states of the GA, in particular the Asian Group, should ensure the retraction of Syria's candidacy and/or ensure that Syria does not attain the votes required within the GA to become a member state of the HRC. Since the beginning of peaceful protests in Syria over three weeks ago, security forces have responded with excessive use of force and have brutally targeted protests with live ammunition, resulting in more than 220 deaths. Furthermore, at least 342 protestors have been arbitrarily arrested and detained. A majority of these remain in incommunicado detention. Journalists have not been permitted to enter the country to cover the events. The government crackdown on peaceful protesters continues till this day, and the authorities have indicated that its response to protests might become more violent still. On 1 March, the GA suspended Libya's membership in the HRC by consensus. If only two months later Syria is accepted into the HRC, this will be a shocking display of selectivity in the GA's stance on human rights violations. While we consider the candidacy of Syria to the HRC to have been unacceptable before the recent unrest, based on the continuous and widespread violations of human rights committed by the state over the past decades, its successful candidacy at this moment in time would constitute a form of international impunity, sending the signal to Syria and other governments who commit grave human rights violations to repress popular movements for democratic reform, that their breach of international human rights law is acceptable to the international community. Furthermore, the credibility of the GA and the Council is at stake, as the successful candidacy of Syria would be a mockery of the standards regulating HRC membership. We urge all UN member states and the Asian Group in particular, to call upon Syria to withdraw its bid for membership in the HRC. If it refuses to do so, we urge all states to uphold the credibility of the HRC by ensuring that Syria is not given a seat in the HRC in the May elections. KARACHI, April 26: At least four people, including a lady doctor, were killed and 56 others were injured when two buses carrying Pakistan Navy personnel came under bomb attacks here on Tuesday morning. Most of the wounded are naval officers. The Taliban claimed responsibility and vowed more attacks on security forces, according to a Western news agency. “Security forces will be targeted in the future as well, because they are killing their own people in Waziristan and elsewhere at the behest of the United States,” Taliban spokesman Ehsanullah Ehsan told Reuters by telephone from an undisclosed location. Sindh Chief Minister Qaim Ali Shah, who visited the scene of the attacks and hospital, told newsmen that the government had received intelligence reports about a potential terrorist attack. The first bombing took place at around 7:20 am on the 7th Central Street outside the College of Physicians and Surgeons Pakistan in the Defence Housing Authority Phase II where a bus carrying navy personnel was targeted. Police officials said a motorcycle rigged with explosives was used in the attack. Dr Shazia Khan and Sub Lt Mohammad Iqbal were killed and 37 others were wounded. The injured were taken to the nearby PNS Shifa Hospital. The bus was hit on the left side. Two private cars and nearby houses were also damaged by the blast. Minutes later, another bus carrying Navy personnel was attacked on Northern Bypass in Baldia Town. Navy sailor Umar Farooq and civilian employee Mohammad Sharif were killed and 19 others were wounded. WASHINGTON, April 25: Another blow to already tense relations between the United Sates and Pakistan was dealt on Monday when leaked official documents showed that the US administration had placed the Inter-Services Intelligence on a list of terrorist outfits. In the documents, leaked by the whistle-blowing WikiLeaks website, US officials rank the ISI alongside groups like Hezbollah, Al Qaeda and the Muslim Brotherhood. The Egyptian Islamic Jihad, the brainchild of Al Qaeda No. 2 Ayman Al-Zawahiri, is also on the list of 70 terrorist entities. In a so-called threat indicator matrix used to determine which of the inmates at Guantanamo Bay can be released, a detainee’s link to the ISI is seen as confirming his association with terrorism. The 17-page threat matrix is the first official US documents to have emerged that ranks the ISI among terrorist groups. Diplomatic observers in Washington say the document could seriously damage Pakistan-US relations. “Through associations with these … organisations, a detainee may have provided support to Al Qaeda or the Taliban, or engaged in hostilities against US or coalition forces (in Afghanistan),” the memo said. The potential diplomatic row follows a dust-up over Raymond Davis, a CIA contractor, who killed two Pakistani men in Lahore in January. “This revelation could become the last nail in the coffin of US-Pakistan relations,” noted a US media report. “In the wake of escalating protests of Pakistani citizens against US drone operations, such information could make the US lose its key ally in the region,” said another report. One official memo advised US investigators that association with the ISI “in the late 1990s up to 2003” was a sign of Taliban or Al Qaeda affiliation. In another document, an Afghan Guantanamo inmate Haji Sahib Rohullah Wakil claimed that Al Qaeda members crossed into Pakistan on a special permit issued by a Pakistani official. Mr Wakil “worked in conjunction” with Pakistani intelligence “to undermine the current Afghan government” led by President Hamid Karzai, the memo alleged. The document, now placed on the WikiLeaks website, quoted Mr Wakil as telling his interrogator that the ISI and a Saudi group deposited money in a bank account he jointly maintained in Peshawar. The documents show that from a total of 779 detainees, 409 were low-level guerrillas, 150 were considered innocent while 172 remained in the prison. Sixteen of them were high-value detainees and 7 men died in captivity. As many as 221 detainees were Afghans, 138 Saudis, 112 Yemenis, 71 Pakistanis and 26 Algerians. So far 199 detainees have been sent to Afghanistan, 120 to Saudi Arabia, 63 to Pakistan, 22 to Yemen and 14 to Britain. One of “the worst of a very bad lot” was 89-year-old Mohammed Sadiq, an Afghan civilian transported to prison camp just because of “suspicious phone numbers” found in his home. “His current medical issues include major depressive disorder, senile dementia and osteoarthritis, for which he receives prescribed treatment.” Another inmate held along with the dangerous terrorists was 14-year-old Naqib Ullah, who was brought to Cuba because of “his possible knowledge of Taliban…local leaders”. British national Jamal al-Harith was sent to Guantanamo just because he had been held in a Taliban prison and was expected to obtain the information of their interrogation techniques. Another prisoner was detained “because of his general knowledge of activities in the areas of Khost and Kabul based as a result of his frequent travels through the region as a taxi driver”. And an Al-Jazeera journalist, a Sudanese cameraman named Sami al-Hajj, was held for six years on vague allegations that he helped Al Qaeda help the Chechens. He was released by the Bush administration without charges against him. * Are there any feminist—even from Gaza—that are not also human? Because if they have some space alien feminists on the panel that would make for a really diverse conference! that I may gain in you Life in every place. for you are the Resurrection." Egyptian Minister of State for Antiquities Zahi Hawas said Tuesday April 14 that Egypt has restored four ancient artifacts that were stolen from the Egyptian Museum during the anti-government protests, state-run MENA news agency reported. Hawas said at an international press conference that the four restored pieces, among the 37 artifacts missing from the Egyptian Museum, include a gilded wooden statue of the 18th Dynasty Pharaoh Tutankhamun being carried by a goddess, and parts of another gilded wooden statue of the king. The four relics were found at a Cairo metro station by archaeologist Salah Mahammad Abdel-salam while he was on his way to work, said Hawas. Looters broke into the museum near the Tahrir Square in downtown Cairo on Jan. 28, when the anti-government protests drove the police out of the square. Hawas told reporters that he will submit to Prime Minister Essam Sharaf a comprehensive plan Thursday to protect the Egyptian antiquities, including setting up a special police force to protect the archaeological sites and museums around the country. Hawas appealed all Egyptians to help in restoring the missing antiquities. Hawas has been sentenced to one year in jail for refusing to settle a land claim. He is appealing. The Bishop of Oxford has come up with a delightful gift for the Anglican community this Easter. In his capacity as chairman of the Church of England’s Board of Education, he has declared that he wants to see an end to faith-based admissions in church schools. I’m really committed to our schools being as open as they can be. I know that there are other philosophies that will start at the other end, that say that these are for our church families, but I have never been as convinced of that as others. Every school will have a policy that has a proportion of places for church youngsters … what I would be saying is that number ought to be minimised because our primary function and our privilege is to serve the wider community. Ultimately I hope we can get the number of reserved places right down to 10%. For defenders of faith schools, this is profoundly demoralising. You expect to be attacked by aggressive secularists like Richard Dawkins, but not by an Anglican bishop. (IFJ/IFEX) - 21 April 2011 - The International Federation of Journalists today mourns the tragic death of photojournalists Tim Hetherington and Chris Hondros, killed by a mortar attack in the besieged Libyan city of Misrata, on Wednesday 20 April. Two other photojournalists, Guy Martin and Michael Christopher Brown, were both seriously injured by the same mortar fire along Tripoli Street at the heart of the fight between pro-Gaddafi forces and the rebels for control of Misrata. "The death of Hetherington and Hondros are a terrible loss to their families and colleagues," said Jim Boumelha, IFJ President. "Their deaths and the wounding of two other photographers have brought home the serious risks faced by journalists when getting close to the story." Tim Hetherington had won several distinguished prizes, including the World Press Photo Award in 2007, for his work covering conflicts over the last decade. He was also jointly responsible for the highly acclaimed Afghan war Documentary, Restrepo. Chris Hondros, a former nominee for the Pulitzer Prize, also won the 2006 Robert Capa Gold Medal for his "exceptional courage and initiative" in Iraq. "Covering Libya has been extremely treacherous for all journalists, many with a long experience of working in dangerous environments. They risked arrest, beating, detention and now death to bring into the public eye the humanitarian crisis unfolding in Misrata. We urge a full examination of the circumstances of their deaths and review of internal security procedures," added Boumelha. (CPJ/IFEX) - New York, April 20, 2011 - Acclaimed British photojournalist and filmmaker Tim Hetherington was killed in an explosion in the western Libyan city of Misurata today, and three other photographers were wounded, The New York Times and other news outlets reported. Hetherington, a veteran war photojournalist, co-directed the Academy Award-nominated documentary Restrepo. The blast was believed to have been caused by a mortar round, according to the Los Angeles Times, which cited doctors and colleagues. News reports identified the wounded as photographers Chris Hondros, an American working for Getty Images; Guy Martin, a Briton working for the Panos photo agency; and Michael Brown, who was working for Corvis. "We're shocked and saddened by word that our colleague Tim Hetherington has died, and we extend our deepest condolences to his family and colleagues," said Robert Mahoney, CPJ deputy director. "The Libyan conflict is proving to be an extremely dangerous story for journalists to cover." Hondros and Martin suffered grave injuries, according to The New York Times, citing a colleague of the journalists who was at the medical center where they were being treated. Misurata is held by rebel forces but has been fiercely contested. The Los Angeles Times, reporting from Misurata, said the journalists had been working near the front lines of local militia. Hetherington and American journalist Sebastian Junger co-directed the 2010 film Restrepo, which documented the year they embedded with U.S. military in Afghanistan. Born in 1970, according to his online biography, Hetherington had won numerous other awards, including a 2009 Alfred I. duPont Award for broadcast journalism. Two other journalists have been killed this year in the Libyan conflict. An unknown gunman killed Mohammed al-Nabbous, founder of the online Libya Al-Hurra TV, as the journalist was streaming live audio from a battle in Benghazi on March 19. Cameraman Ali Hassan al-Jaber was shot when his Al-Jazeera crew was ambushed near Benghazi on March 13. CPJ has documented more than 80 attacks on the press since political unrest erupted in Libya in February. They include the fatalities, numerous injuries, 49 detentions, 11 assaults, two attacks on news facilities, the jamming of two international television transmissions, at least four instances of obstruction, the expulsion of two international journalists, and the interruption of Internet service. At least six local journalists are missing amid speculation they are in the custody of security forces. One international journalist and two media support workers are also unaccounted for. This year, the first wave of baby boomers are turning 65 – and with increased age comes increased risk of developing Alzheimer's disease. Our new report, "Generation Alzheimer's: The Defining Disease of the Baby Boomers," sheds light on a crisis that is no longer emerging – but here. Many baby boomers will spend their retirement years either with Alzheimer's or caring for someone who has it. An estimated 10 million baby boomers will develop Alzheimer's. "Alzheimer’s is a tragic epidemic that has no survivors. Not a single one," said Harry Johns, president and CEO of the Alzheimer’s Association. "It is as much a thief as a killer. Alzheimer’s will darken the long-awaited retirement years of the one out of eight baby boomers who will develop it. Those who will care for these loved ones will witness, day by day, the progressive and relentless realities of this fatal disease. But we can still change that if we act now." According to the new Alzheimer’s Association report, "Generation Alzheimer’s," it is expected that 10 million baby boomers will either die with or from Alzheimer’s, the only cause of death among the top 10 in America without a way to prevent, cure or even slow its progression. But, while Alzheimer’s kills, it does so only after taking everything away, slowly stripping an individual’s autonomy and independence. Even beyond the cruel impact Alzheimer’s has on the individuals with the disease, Generation Alzheimer’s also details the negative cascading effects the disease places on millions of caregivers. Caregivers and families go through the agony of losing a loved one twice: first to the ravaging effects of the disease and then, ultimately, to actual death. "Most people survive an average of four to six years after a diagnosis of Alzheimer’s disease, but many can live as long as 20 years with the disease. As the disease progresses, the person with dementia requires more and more assistance with everyday tasks like bathing, dressing, eating and household activities," said Beth Kallmyer, senior director of Constituent Relations for the Alzheimer’s Association. "This long duration often places increasingly intensive care demands on the nearly 15 million family members and friends who provide unpaid care, and it negatively affects their health, employment, income and financial security." In addition to the human toll, over the next 40 years Alzheimer’s will cost the nation $20 trillion, enough to pay off the national debt and still send a $20,000 check to every man, woman and child in America. And while every 69 seconds someone in America develops Alzheimer’s disease today, by 2050 someone will develop the disease every 33 seconds - unless the federal government commits to changing the Alzheimer’s trajectory. WASHINGTON — A sharply divided Supreme Court upheld Arizona’s tax-credit program, which offers dollar-for-dollar reduction in state income tax for donations to tuition organizations that support religious schools. The court’s 5-4 decision April 4 sets a precedent that could benefit religious schools throughout the country, including Catholic schools. They said this was a first. It may have been, but it should not be a surprise. It is in fact a symptom of the chronic disconnect which is now commonplace between the key institutions in Western society – families, schools, government. About 70 teachers in a school in Lancashire, England, picketed their school because of a breakdown in school discipline. Staff at Darwen Vale High School in Darwen are angry over a lack of backing from the head and other management at the school when they confront unruly children. Simon Jones, a local National Union of Teachers official manning the picket line, said: ”This is not a strike against pupils. It is about management, and management failure to support staff in dealing with challenging behaviour. No one wants to demonise the children here; they are no better or no worse than any other.” Pity the poor teachers, pity the poor pupils. In a broken society all are victims. Few know why and even fewer know what to do about it. This is by no means a “sink” school. In fact, in the latest report on the school from the Office of Standards in Education last June, Darwen Vale was rated a good school where pupils’ behaviour was given a good rating. Something really terrible has happened when an entire body of teachers in a school has felt compelled to down tools and walk out of their classrooms because they find themselves no longer able to do that which should be second nature to them – relate humanly and affectionately to the body of students in that classroom. What the exact circumstances in Darwen Vale are may be special, but there is no doubt but that the reaction of those teachers is mirrored in thousands of classrooms around the Western world today where teachers feel they can no longer cope. Why? It is not a deficiency in their skills, or in their training, or in their good will. It is nothing less than a breakdown of civilised human behaviour. Embryonic Stem Cell Research "Overhyped"
It's difficult to think of bioethicists who differ on more issues than Robert P. George, of Princeton (yes, there is a bioethicist at Princeton who is not Peter Singer) and Arthur Caplan of the University of Pennsylvania. George, a former member of President Bush's Council on Bioethics, is a leading conservative who opposes embryonic stem cell research and abortion. Caplan is the unofficial dean of progressive bioethics and perhaps the most quoted bioethicist in the American media. But at a meeting organised by the Witherspoon Institute, a think tank at Princeton, they agreed on one thing: stem cell scientists told porkies about the promise of their research. "Here's an assertion that you hear all the time: 'Stem-cell research will help Alzheimer's.' But stem cell research has no possibility of helping Alzheimer's. Alzheimer's is a gunk-up-the-brain disease, where every cell is affected. You can't fix it by any sort of stem cell research. Model it? Maybe. Cure it? Never." "...that's the kind of dishonesty that threatens to alienate the public from science. Because even if the public buys it in the beginning, and the scientists win the political debate, when they can't deliver on the promises they made, people's faith in scientists--crucial for the funding of science--is placed in jeopardy." The key point on which the two celebrity bioethicists agreed was that facts do not speak for themselves and that science is not ethics. Ethical norms have to govern scientific inquiry and medical practice. As Caplan put it, "You can pile up evidence to the size of the Jungfrau, but if you don't have norms, evidence does you no good. But some out there believe that the evidence speaks for itself." (IPI/IFEX) - 15 April 2011 - Hamas officials have said they found the body of an Italian journalist and activist who was kidnapped yesterday in Gaza, reports say. Vittorio Arrigoni, 36, was affiliated with the International Solidarity Movement (ISM), a pro-Palestinian rights group, and reported on Palestinian issues for the left-wing Italian newspaper Il Manifesto and Peacereporter, and also wrote a blog, according to a report on the ISM website. The journalist was kidnapped yesterday by a militant Islamist group, which released a YouTube video saying that they would kill Arrigoni unless Hamas, which controls the Gaza Strip, released a number of political prisoners, reports say. But before the Friday evening deadline had passed, the Hamas-run Interior Ministry in Gaza announced that the activist's body had been found, reports said. Hamas has said that one suspect is now in custody, CNN reported on its website today. "Our heartfelt condolences go out to Vittorio Arrigoni's family, friends and colleagues," said IPI Director Alison Bethel McKenzie. "By all accounts, this was a courageous journalist and activist who chose to remain in Gaza even when it was under attack. We are appalled at his death and call on the authorities to fully investigate and prosecute those responsible. It is unacceptable for human lives to be used as bargaining chips." Hamas is also designated as a terrorist organization by the United States, the European Union and others. Hamas officials have governed Gaza in a parallel government since 2007, after a post-election battle with Fatah, the political group that now dominates the Western-recognized Palestinian National Authority, whose effective control is limited to the West Bank. In 2007, Hamas helped to free BBC correspondent Alan Johnston after he was held captive by terrorists for four months, and there has been a "history of bad blood" between the rival Islamist groups since then, the Bethlehem-based Maan News Agency reported. The outcry against Arrigoni's death has been immediate. An ISM co-founder, Huwaida Arraf, told Maan News Agency, "He was more Palestinian than the criminals that killed him." The website of the Italian daily Il Manifesto, which Arrigoni wrote for, carried the headline "Restiamo Umani" ("Let's Remain Human"), a phrase they say the journalist and activist repeatedly used when discussing the situation in the Palestinian Territories. "It hurt really badly [to see the video of Arrigoni], if we consider the work that Vittorio has been carrying out from 2008 until today to inform always, at any time, through his blog, on Facebook and through articles on various websites, about what happened in Gaza," colleague Michele Giorgio wrote on in an editorial for Il Manifesto. "Without a moment of rest, even at night." Officials in Rome condemned "in the strongest manner the act of vile and senseless violence committed by extremists who are indifferent to the value of human life," Maan News Agency reported. The Palestinian National Authority called the murder "a dark page in our history, "Italian news agency AGI reported today. And a spokesperson for the Interior Ministry in Gaza said that Hamas "condemns the heinous crime that does not reflect our values, our religion or our custom and tradition," AGI said. But journalists working in the Gaza Strip have frequently complained of attacks and harassment by Hamas forces. Protests in Gaza last month calling for an end to the rivalry between Hamas and Fatah were violently dispersed, and journalists covering the demonstrations were targeted. The offices of Reuters, Japan TV, CNN and other news agencies were attacked, and individual reporters received death threats, the Palestinian Centre for Development and Media Freedoms said in a report last month. In October last year, the Palestinian Journalists Syndicate's (PJS) headquarters in Gaza were shut down. Although the syndicate is now operating again, their officer Amal Touman was prevented from leaving Gaza to attend an International Federation of Journalists meeting in Morocco this week, PJS President Abdel Nasser Al-Najjar told IPI by phone from Casablanca today. Al-Najjar called Arrigoni's death a "horrible incident" and a "big crime," and said that perhaps people will now "be aware that these groups will damage the opportunity for freedom of the press and the peace process." Il Manifesto had planned journalist demonstrations calling for Arrigoni's release in Milan, Rome, Turin and other cities for this afternoon. These will now be turned into memorials, the newspaper's website said. Pfleger also advocates women priests because he sees this as a rights or entitlement issue. Women are entitled to be priests, just like men. He plays the entitlement card for women’s ordination and imposes the charge of white supremacy on Hillary Clinton. Pfleger invited Al Sharpton to speak during Mass while he was running for President, and is reported to have threatened to “snuff out” a Chicago gun shop owner. He also flew the American flag upside down outside the Church. This is a man who enjoys drawing attention to himself, and the only truth that concerns him is the truth he wants to believe. He isn’t the sort of man that a President wants standing at close proximity when the cameras are running. Yet he and President Obama have some things in common. They are both first and foremost political creatures; they hold an essentially Marxist worldview, and they promote their beliefs as the "gospel truth." Obama, however, has never left the left. More than that, if he really was on the Marxist-Leninist left, as John Drew describes, we have no accounting, from Obama or anyone, of a switch. In Obama’s memoirs — he’s already done two of them — we hear about him attending socialist conferences and “hanging out” with Marxist professors, but we never get any repudiation of those conferences, professors, or even a tiny, passing comment suggesting these were fanciful political musings from a misguided youth. Is this another quality that the two men share? If push comes to shove, would President Obama also be willing to set aside the vows he made when he was sworn in as the President of the United States of America? (ANHRI/IFEX) - Cairo April 9th, 2011 - A group of human rights organizations, activists, journalists, media professionals and bloggers made executive steps to create an institutional framework that reflects the aspirations of the January 25th revolution, called The National Coalition for Media Freedom. The group agreed on the following objectives for the coalition: change the legislative, regulatory and cultural frameworks limiting media freedom in Egypt; guarantee the rights of society, readers and viewers to information and free expression through printed, audio-visual and electronic media; and consolidate the commitment to the values and ethics of professional practice. The coalition will participate in an event on May 3, World Press Freedom Day, at the journalists' syndicate in collaboration with a number of syndicate committees and UNESCO. A distinguished selection of public, media and civil society figures will be attending the celebration. On May 3, the coalition will release the Declaration on Media Freedom which includes the vision of the coalition on various issues related to the liberation and development of the Egyptian media. (ANHRI/IFEX) - Cairo, April 11th, 2011 - Human rights organizations defending blogger Michael Nabil, who was brought before a military court over his criticism of the junta, condemned the harsh and almost secret sentence issued against him on April 10. Nabil was sentenced to three years in prison, after his lawyers had already left the courtroom. Nabil, 26 years old, wrote a post on his blog slamming the army's actions during and after the revolution of January 25, which led to his arrest on March 28. After a short investigation before the military prosecutor, he was referred to a military court which set the hearing for April 10. Nabil's lawyers, from the Arabic Network for Human Rights Information (ANHRI), United Group and the Egyptian Initiative for Personal Rights, went to the military court on April 10 to hear the court's decision in the case. The Chief of the military courts informed them, however, that the case was adjourned to April 12. Several hours after the lawyers left the court, news leaked that a verdict had been issued against the blogger, sentencing him to three years in prison. This information was confirmed on the morning of April 11, raising suspicion about the court's action and the deliberate misleading of the defense. Secrecy and deception can now be added to the list of setbacks plaguing military trials that lack the slightest elements of fairness. The lawyers and Nabil's family were surprised to find out that the verdict was issued in the absence of his lawyers. This behavior raises suspicions and doubts about the fairness of the trial, not only for being a military trial of a civilian over his opinions, but in the context of the proceedings of similar trials against other civilians. The human rights organizations that are signatories to this statement said, "The freedom of Michael Nabil was shackled and stolen, not only by the military court, but by the media, that out of cowardness or collusion fail to publish any news about the numerous offences that are being committed. Talking about violations exercised by the junta is almost a wrong tune in such a stuffy atmosphere of hypocrisy, lying and appeasing which multiplies the mistake and turns it into a crime involving torturers and violators. We will not keep silent about torture or unfair trials, even if we are reduced to writing about these crimes on the walls in the streets." The signatories to this statement warned that these unfair military trials against Egyptians will turn into a systematic practice that is being condoned and concealed by the Egyptian media, allegedly to protect the revolution. An atmosphere of fear and obscurity is the last thing needed for a revolution to thrive - what is needed instead is openness, transparency and justice, for which Egyptians have struggled for so long and will not give in. WASHINGTON — Time ticks away for Father Roy Bourgeois.He’s the high-profile Maryknoll priest who took part in a women’s ordination ceremony in August 2008. Despite a canonical warning from his order soon after the ceremony, which was sponsored by Roman Catholic Womenpriests in Lexington, Ky., the priest refused to recant and was automatically excommunicated three months later. Now, because he refuses to renounce his support for allowing women to become priests, he might lose his membership in the Maryknoll Fathers and Brothers and in the priesthood itself. The Congregation for the Doctrine of the Faith says Father Bourgeois’ stance on women’s ordination has caused scandal by countering Church doctrine. Excommunication does not automatically laicize a priest, nor does it remove him from association with an order. That’s the next step, which the Congregation for the Doctrine of the Faith asked Maryknoll to take. Maryknoll is a 100-year-old missionary order of 360 priests, two bishops, 49 brothers and 11 seminarians based in Ossining, N.Y.
“He remains a priest, even after excommunication,” said Jimmy Akin, senior apologist for Catholic Answers, a San Diego-based apologetics organization, and a Register blogger. “Excommunication is a Church penalty that plays a medicinal role. It says a Catholic has said or done something seriously wrong and needs to repent.” During excommunication, a priest may not celebrate or receive the sacraments. A laicized priest remains ordained, Akin said, as ordination is an indelible mark on a man’s soul. A laicized priest may no longer function as a priest in the Church apart from certain extraordinary exceptions, such as hearing the confession of a dying person. In March, the superior general of the Maryknoll order warned Father Bourgeois that he will proceed under canon law to seek the priest’s removal from the order and request that he be laicized unless he recants his belief that women should be ordained as priests. Father Edward Dougherty, superior general of the Maryknoll Fathers and Brothers, outlined the steps the order would follow under the direction of Vatican officials in a canonical warning sent to Father Bourgeois dated March 18. In an interview with the Register, Father Bourgeois said he wants to plead his case directly to Pope Benedict XVI, and he said he would be honored by a five-minute audience in which he would try to convince the Pope to reject his laicization. He would also like to meet with Cardinal William Levada, prefect for the Congregation for the Doctrine of the Faith. As laicization looms, Father Bourgeois is on a liquid-only fast in Washington, D.C., trying to get President Barack Obama to close the Western Hemisphere Institute for Security Cooperation, also known as the School of the Americas, a U.S. Army school at Fort Benning, Ga., that trains Latin American soldiers. He was a founder of School of the Americas Watch and alleges the school produces out graduates who commit human-rights atrocities, including the assassination of six Jesuit priests in El Salvador in 1989. He has spent four years behind bars for arrests and convictions associated with unlawful protests at the School of the Americas. Father Bourgeois gets emotional when explaining that he will let his brothers down after the second 15-day warning expires. Roman Catholic Womenpriests in Lexington, Ky. Oh, yes! My old friends and neighbors, and one reason I decided NOT to join the Roman Catholic Church. Beware of all innovations coming out of Lexington KY. This is where Gene Robinson got his start and the Episcopal Church Bishop here is so radical that even gay and lesbian people cringe at some of his antics. Remember when Sen. Nancy Pelosi said they had to sign the healthcare bill to know what was in it? Well it has come to light, and some people are troubled by what it reveals. Dr. Donalid Condit says it’s a big document loaded with sugar-coated rhetoric covering a bitter pill to swallow. This ObamaCare prescription threatens patients, the physicians who care for them, and the common good. The only clear winners are the consultants and lawyers busy trying to decipher this 429-page tome of acronyms and encrypted methodology that will compromise the doctor-patient relationship and is contrary to the principle of subsidiarity. Medicare beneficiaries will be “assigned” to 5,000 patient-minimum organizations to coordinate their care. While HHS Secretary Kathleen Sebelius talks about improvement in care, the politically poisonous truth is that Medicare is going broke and ACOs are designed to save money. The words “rationing” or “treatment denial” or “withholding care” are not part of her press release, but reading the regulations reveals intentions to “share savings” with those who fulfill, or “penalize” others who fall short of, the administration’s objectives. The administration’s talking points include politically palatable words which emphasize quality improvement and care enhancement when the real objective is cost control by a utilitarian calculus. Physicians and other health care providers will find themselves in conflict with the traditional ethos of duty to patient within ACOs. Somebody has to point this out. The moral medicine we have taken for granted, that’s now under new threat. Ever increasing numbers of doctors are leaving private practice and becoming employed by hospitals, due to a variety of challenges inherent in these uncertain times . The hospitals are the most likely recipient of bundled payments for caring for Medicare patients. Doctors will face agency conflicts between the time honored primary duty to patient, which may conflict with hospital administration, and ACO goals of fiscal savings. Medical care providers will receive incentives for controlling spending, and penalties if they do not. “No one can serve two masters” (Matthew 6:24). Not even physicians. Doublespeak? Where is this leading? The principle of subsidiarity guides policy makers to empower decision making and scarce health care resource allocation at the doctor-patient level. However, the Affordable Care Act moves in the opposite direction. It is ethical to withhold and withdraw artificial nutrition and hydration (ANH) from children, says the Canadian Paediatric Society. In a bioethics position statement, it argues that medically assisted food and water are medical treatment, not an essential part of humane care. The CPS makes clear that any decision should be based solely on the benefit to the child, while considering the child's overall plan of care. "Food and drink evoke deep emotional and psychological responses, and are associated with nurturing," said Dr. Tsai. "But artificial nutrition and hydration is not about providing food and fluids through normal means of eating and drinking. It should be viewed the same as any other medical intervention, such as ventilatory support." "The discussion on whether to withhold or withdraw artificial nutrition and hydration is happening more and more," said Dr. Ellen Tsai, chair of the CPS Bioethics Committee. "It's a difficult topic, one where physicians are being asked questions by both parents and their health care colleagues. They need guidance to navigate the complexity of the issue. Saying we don't withhold or withdraw ANH isn't a sufficient response anymore." The Canadian guidance is based on a 2009 report from the American Academy of Pediatrics recently published a comprehensive clinical report, "Forgoing medically provided nutrition and hydration in children" which states that in some circumstance ANH may be morally optional. A drama surrounding twins born overseas to a surrogate mother has raised hopes of legalising surrogacy in France. The nation's highest court this week denied citizenship to twin girls, the children of Dominique and Sylvie Mennesson. They were born in 2000 to a surrogate mother in California from sperm from Mr Mennesson and a donated egg from a friend of Mrs Mennesson. A San Diego court decided that the girls had French citizenship under state laws. However, French authorities disagreed and a decade-long legal battle ensued. A lower court removed the twins from the civil registry. The parents appealed, but finally lost in the Court of Cassation. The court decided that recognition of filiation is against French law, although nothing prevents the children from living with the couple. The Mennessons were crestfallen at the verdict and declared that they will appeal to the European Court of Human Rights. France is debating a law on bioethics, but the current draft does not even mention surrogacy. A lawyer who specialises in cases of surrogacy, Caroline Mécary, said that several hundred children are living in France without citizenship because their surrogate mothers were not French. An authentic public debate on "legalising euthanasia" can only occur after a clear distinction is made between assisted suicide and euthanasia and the refusal, withholding or withdrawal of life-sustaining measures, says a Queensland University of Technology (QUT) law academic. Dr Andrew McGee said the preparation of a new private members bill for voluntary euthanasia recently announced by the Tasmanian Premier, Lara Giddings, may not reflect public support for such a bill because the surveys on which the evaluation of public opinion was based were flawed. "It has been claimed that a survey showed 80 per cent of people in Tasmania are in favour of euthanasia, but the Parliamentary report on the bill in which these findings are presented itself concedes that the wording of the survey was confused," Dr McGee said. "The report expressly states that it is unclear whether respondents considered the withdrawal of, non-commencement of, or refusal of life-prolonging treatments as voluntary euthanasia. "So this means that respondents to the survey might have merely confirmed their support for withdrawal, withholding or refusal of treatment which is conduct that is already lawful. The results of the survey, therefore, are not a secure basis for changing the law." Dr McGee said laws in this area were often criticised by the legal profession for being inconsistent and confused." For example, a common argument made by proponents of euthanasia is that it is already lawful in some forms, where, for example, a doctor can withhold life-support or switch off a life-support machine," Dr McGee said. "On this view, it is illogical that administering a lethal dose is unlawful, while withholding and withdrawing life support is permitted. But this argument takes for granted that withholding and withdrawing life support really is a form of euthanasia, and so begs the question and only clouds the real issues that need to be debated. "The issue should simply be whether we should accept that, in some circumstances, it is right to allow people to end their lives early to avoid unbearable pain and suffering. If the answer is 'yes' then we should focus on defining what those circumstances are in a way that does not open the floodgates. This should not be confused though with the issue about when doctors might stop prolonging life by withdrawing life-prolonging treatment. The law about life-prolonging treatment is already settled." "I can safely say that they will simply not be able to do anything and that this is the end of the road." The Tennessee House of Representatives voted 70-28 on Thursday, April 7 to pass a bill that would protect teachers from discipline if they challenge the mainstream theories on "biological evolution, the chemical origins of life, global warming, and human cloning." All of these have been questioned by scientists themselves. Consider this disagreement between two environmentalists on global warming. Of course, the Tennessee bill will be challenged by evolutionary science addicts. Still, it is a good step in the direction of breaking the Darwinian monopoly in science education. Even the Russians think its time that other theories be considered also. BANGKOK - Today, as the UN climate talks came to a close in Bangkok, Ambassador Pablo Solon of the Plurinational State of Bolivia released UN statistics that showed, contrary to conventional wisdom, that developing countries are taking more climate action than developed countries. "What's on the table in these negotiations is that 65% of emission reductions happen in developing countries and just 35% happen in developed countries, even though it is they who caused the problem of climate change. This is like someone burning down your crops, making you do all the work to replant them and then acting like a hero when they give you a tiny discount on the seeds . " Ambassador Solon said. "Rich country promises are even more hollow when the use of 'offsets' are included to their low pledges, those offsets transfer 1.1 gigatonnes of emission reductions from developed countries to developing countries." Ambassador Solon said. (Human Rights Watch/IFEX) - London, April 6, 2011 - The Government of Ethiopia should immediately release members of the ethnic Oromo political opposition detained without charge after mass arrests, Human Rights Watch said today. In March 2011, Ethiopian authorities carried out several waves of apparently politically motivated mass arrests of more than 200 ethnic Oromo Ethiopians. On March 30, the government confirmed that 121 were in detention without charge, alleging that they were members of the Oromo Liberation Front, a banned rebel armed group. The government told journalists that it had obtained court orders to continue to hold the 121 individuals while it gathers evidence against them. "The Ethiopian government appears to be back to the old tricks of 'detain first, ask questions later,'" said Rona Peligal, deputy Africa director at Human Rights Watch. "The authorities should immediately free the Oromo opposition members unless they can bring credible charges against them." Ethiopia's international partners should press the government to release the detainees immediately if it cannot credibly charge them, Human Rights Watch said. The authorities arrested 40 members of the Oromo People's Congress (OPC) in a mass roundup from March 12 through March 14 in several districts of Ethiopia's Oromia region. Those detained included long-serving party officials and many candidates in the 2010 regional and parliamentary elections. Several of them remain unaccounted for, OPC party officials told Human Rights Watch. At least 68 members of the Oromo Federalist Democratic Movement (OFDM), an opposition political party, are among those arbitrarily arrested between March 1 and March 15, according to party officials. Those arrested include former members of Parliament, former local government candidates for election, civil servants, teachers, and students. OFDM officials reported that at least two were beaten at the time of arrest, and the whereabouts of several remain unknown. Torture is a routine practice at Addis Ababa's Maikelawi, or Central Investigation Unit, where the majority of the detainees are believed to be held, Human Rights Watch said. Reports of the arrests broadcast on Voice of America's Amharic service have been jammed by the government the radio service said in a statement on its website, further raising concerns that the roundups are politically motivated. The Ethiopian government has a long history of using accusations of support for the Oromo Liberation Front, an armed rebel group that has been carrying out a low-level insurgency for more than a decade, as a pretext for cracking down on political dissent among the Oromo population. While Ethiopia has valid security concerns related to sporadic bombings and other attacks, the government has routinely cited terrorism to justify suppressing nonviolent opposition and arbitrarily detaining peaceful government critics. The authorities have indicated that they may charge several of the detainees under the new Anti-Terrorism Law, which Human Rights Watch and others have criticized on human rights grounds. Enacted in July 2009, the Anti-Terrorism Law severely restricts the right to freedom of expression. It contains an overly broad definition of acts of terrorism that could be used to suppress non-violent peaceful protests, and greatly expands police powers of search, seizure, and arrest. The law also provides for holding "terrorist suspects" for up to four months without charge. These provisions violate basic human rights requirements of due process. Human Rights Watch expressed concern at the time that the new law would become a potent tool for suppressing political opposition and legitimate criticism of government policy. The Ethiopian constitution requires the government to bring a person taken into custody before a court within 48 hours and to inform the person of the reasons for their arrest, a protection that is already systematically violated. The International Covenant on Civil and Political Rights, to which Ethiopia is a party, provides that anyone arrested for a criminal offense shall be brought before a judicial authority and promptly charged. (C-FAM) By Susan Yoshihara, Ph.D.